Abner & Mary are Todd’s great great grandparents, the parents of his great grandfather George Fletcher Hickman. Abner Clift Hickman was born January 7, 1864 in Mays Lick (Mason County), Kentucky. His parents are George F. Hickman and Lamira Clift. Mary “Mollie” G. Morgan was born on March 25, 1864 in Missouri. According to her Missouri Death Certificate, her parents are William Morgan and Mary Smith and they were both born in Kentucky. Later on the US Census, Mollie reported that her father was from Tennessee and her mother from Missouri. I haven’t been able to find them, so I don’t have record of Mollie until her marriage to Abner. On the 1860 US Census, Abner’s family lived in Mason County, Kentucky. He was 4, his father George was 40, and his mother Lamira was 35. He had three siblings: Mary, age 7; Charles, age 6; John, age 2. Lamira’s mother Mary, age 70, was also living in the home. On the 1870 US Census, Abner’s family had moved to Holt County, Missouri. He was 14, his father George was 50, and his mother Lamira was 45. 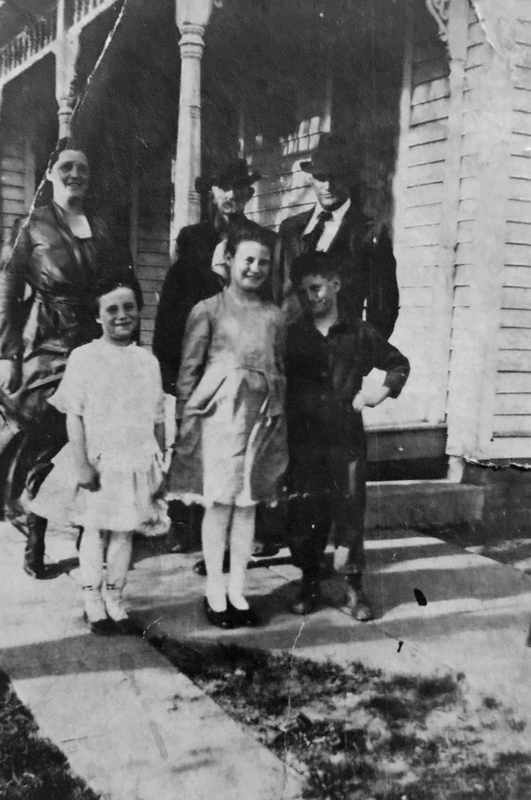 Siblings in the house were Mary, age 17; John, age 12; Anna, age 10; and Joseph, age 3. George’s occupation was laborer. On the 1880 US Census, Abner was 23 and farmed with his widowed father George, age 60, and brothers John, age 21, and Joseph, age 12. On the 1900 US Census, Abner, age 44, and Mollie, age 36, had been married for 18 years and had 3 children. Letha was 15, George was 12, and Laura was 9. They were farming in Holt County, Missouri. On the 1910 US Census, Abner was 53 and Mollie was 46. Daughter Laura, age 19, lived at home. Mollie died on November 27, 1918 in Buchanan County, Missouri. Her Find A Grave memorial is here. On the 1920 US Census, Abner was 62 and widowed. He was still farming in Holt County, Missouri. Living with him was son George, age 31, his wife Minnie, age 27, and their children Geneva, age 9; Clift, age 8; and Edna, age 7. On the 1930 US Census, Abner was 74 and lived in Douglas County, Colorado, with daughter Letha, age 45; her husband Carlos Gelvin, age 46; and their children Avis, age 19; and Frank, age 13; plus Carlos’ widowed mother Callie Gelvin, age 70. Abner died on March 23, 1933 in Douglas County, Colorado. His Find A Grave memorial is here. Letha Hickman – Letha was born on July 8, 1885 in Tarkio, Missouri. She married Carlos Arthur Gelvin. They had 4 children. Carlos farmed, and then owned a gas station. Letha died on January 24, 1950 in Richland, Washington. Her Find A Grave memorial is here. George Fletcher Hickman – George is Todd’s great grandfather. Read more about him here. Laura F. Hickman – Laura was born on March 25, 1891 in Holt County, Missouri. She didn’t marry. She died of typhoid on January 12, 1912 in Holt County. Her Find A Grave memorial is here. This entry was posted in Hickman Family History and tagged Abner Clift HIckman, Callie Gelvin, Carlos Arthur Gelvin, David Clift Hickman, Edna Louise Hickman Gray, Geneva Mae Hickman Gray, George F Hickman, George Fletcher Hickman, Lamira Clift Hickman, Laura F. Hickman, Letha Hickman Gelvin, Mary G. Morgan Hickman, Mary Smith, William Morgan by fillinginthefamilytree.com. Bookmark the permalink.